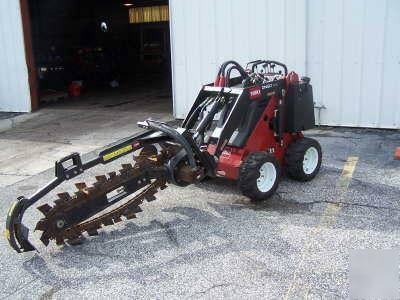 We are a factory authorized Toro, Toro Dingo, and Mustang Excavator dealer. We also have New and Used Equipment and Parts, and large selection of Ditch Witch parts, as well as a complete assortment of attachments for Skid-Steer Loaders and Compact Construction Equipment. We hope you will give us the opportunity to help you with your equipment and parts needs. Thanks for visiting us today, please let us know how we may be of service. Contact us online or at the phone above.